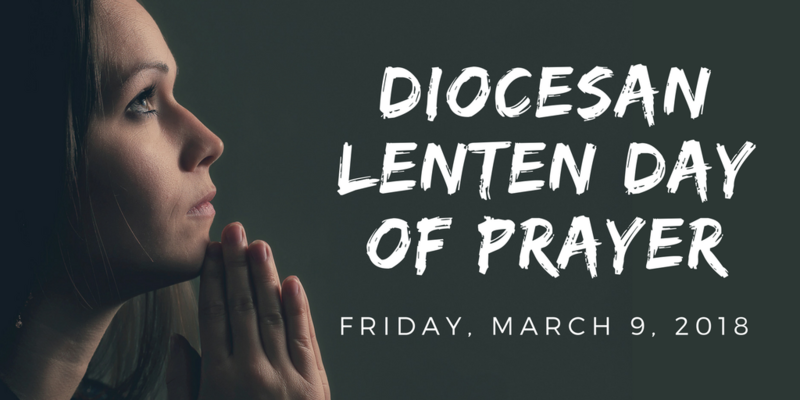 St. John’s, Sharon, is hosting a 24-hour Lenten Prayer Vigil for the Diocese, its congregations, its people and its communities from 9:00am on Friday, March 22 through 9:00am on Saturday, March 23. The church and chapel will be available for prayer throughout the day. Additionally, we will gather for time of structured prayer throughout the day. All are welcome to join us in Sharon or to join us in prayer from your own location. For more information, contact Adam Trambley (atrambley@gmail.com) or Vanessa Butler (vbutler@dionwpa.org). This is the first in a six part video series on personal prayer. We invite you to join us as we explore this aspect of faith through the Lenten season. Lent Madness is on again at Christ Episcopal Church! 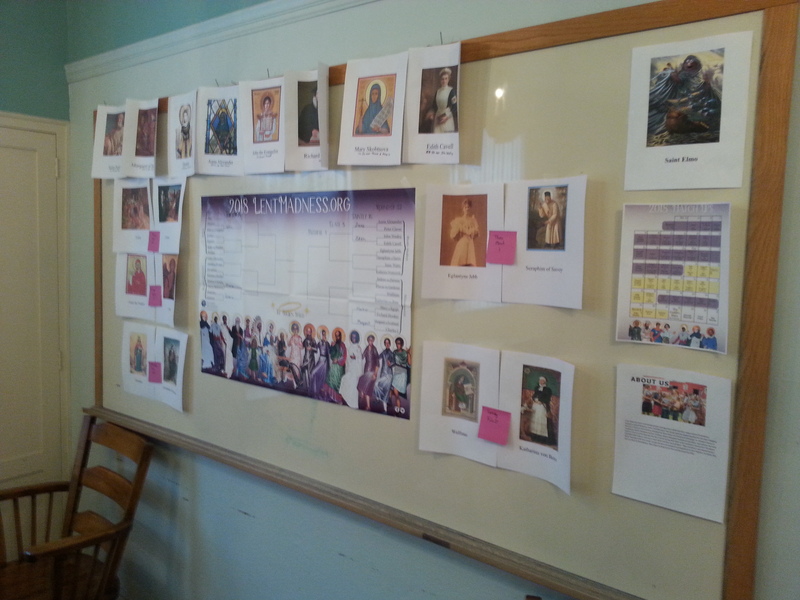 Our congregation has been getting together every Sunday during Lent for four years now, to pick our individual selections for the upcoming week. We all have our Saintly Scorecards and some dedicated followers do additional research. We allow voters to show their financial favor for their favorite Saints. Not gambling, mind you! Since I serve as the contest judge, everyone realizes they will see no financial benefit from their votes. All funds collected are used for a worthy cause. For the last few years, the funds helped some Diocesan youth attend Camp Nazareth. Prizes are awarded to the participants with the highest point score and highest percentage. Last year we had participants from four counties and two churches. Most participants wisely vote online at the official Lent Madness site, doing what they can to see that their individual picks fare well. Our current leaders, as of Sunday, February 25, are Jocelind Gant, with a .875 average, and Noni Stanford, with 40 points. It is a great way to learn about the amazing lives of the people that populate the pages of Holy Men Holy Women, and really has led to a greater realization of the many ways that they have served others. We have come to appreciate the deep faith of people that we viewed as names from a history text, if we had ever heard of them at all. And if any other churches are interested in a little intra-Diocesan contest next year, we would be glad to consider any challenges by our brothers and sisters in Christ, in the spirit of Christian collegiality. Just like Georgetown and Villanova. The Rev. Mark Elliston is the vicar at Christ Episcopal Church, Oil City. During this day of prayer, we especially ask prayers for discernment in the Northwestern Pennsylvania-Western New York collaboration, for the mission and ministry of our diocese, for increased evangelism throughout our region, and for the needs of our local congregations. Individuals and congregations are encouraged to participate by joining a neighboring host site for as much of the day as you are able or by joining in the common times of prayer from your own congregations or homes. For more information, please contact Canon Vanessa Butler (814.456.4203) or the Rev. Adam Trambley (724.347.4501). Ash Wednesday is only a week away, and here at the Forward we’re preparing for Lent by slowing down, cutting back on screen time, and committing to prayer, introspection – and a LOT of reading! 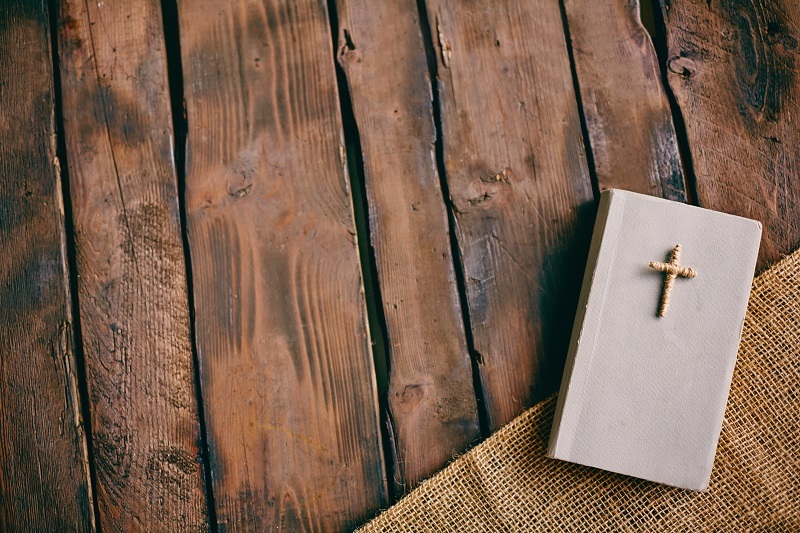 We recently polled people from around the diocese for suggestions on texts that would be useful guides on our Lenten journey, which you’ll find collected below. It’s an eclectic mix of authors, books, poetry, meditations, and some guided Bible exploration. We hope that you will find something here that speaks to your soul and provides some spiritual food for thought. Have a blessed Lent, and happy reading! For those who would like to spend more time with the Bible, Forward Movement is now offering the Good Book Club – a free guided reading of the Gospel of Luke and the Book of Acts, with additional suggested readings and a downloadable discussion guide for groups. Learn more about the Good Book Club and sign up for updates here. Do you have reading suggestions that didn’t make it on the list? Feel free to share in the comments section below! There are times when life seems to flash by in a whirlwind – particularly so when in the midst of holiday seasons. It feels like we just wrapped up our Christmas celebrations, and yet in just a few weeks we’ll be heading to church for Ash Wednesday services! This year, instead of blinking and finding out that it’s practically Easter, I’m attempting to be more mindful and actually experience Lent, rather than letting it flash by. If we can deny ourselves food for a day, maybe we can also deepen our self-control in other aspects of our life. Maybe we can control our tongues when a piece of juicy gossip or a harsh word is on its tip. Maybe we can turn off the TV or the Facebook feed when we should really be saying our prayers before bed. That final line is definitely food for thought. 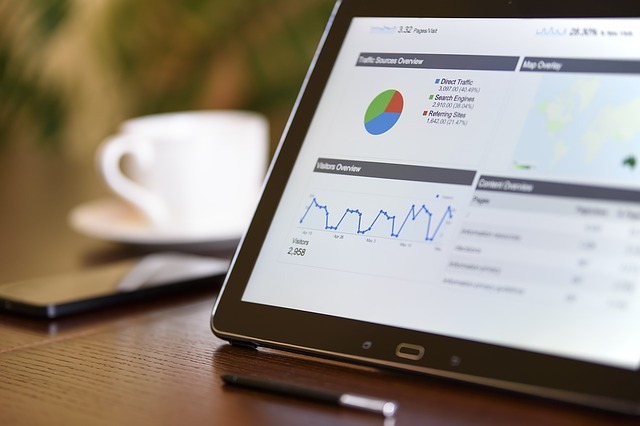 If you are like me (or just the average American adult, according to Nielsen media analytics), you spend close to 11 hours a day immersed in media: web surfing, checking Facebook, binge watching shows on Netflix– we’re plugged in most of our waking hours. It’s difficult to concentrate, let alone engage in thoughtful self-examination or meditate on the word of God, when trying to keep up with the influx of information coming through the screen day in and day out. I’m definitely guilty of checking my Facebook feed before bed, and my husband will often start streaming an episode of Agents of Shield after he’s supposedly settled in for the evening. It’s not restful, and definitely not prayerful. While I don’t plan to commit to a complete ‘digital fast’ this year (which would be a little difficult in my line of work! ), I do want to take some steps to cut down on mindlessly surfing social media and reclaim some of that time for more God-centered activity. 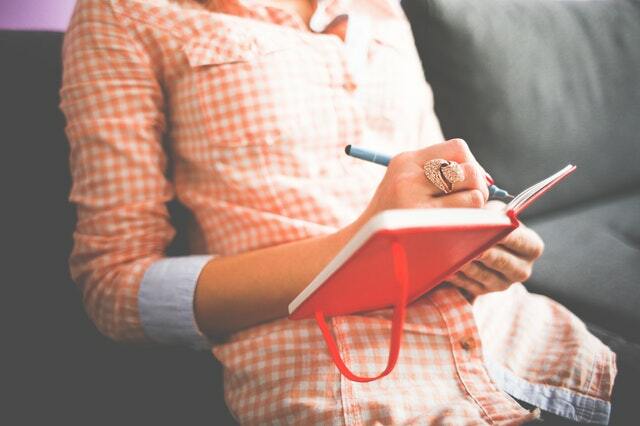 My current thought is to set aside one hour each evening before bed for prayer, reading, and journaling (or as I like to think of it, meditating on paper). No more Words with Friends after 11 pm! If you too are interested in stepping back from the screen this Lenten season, near the beginning of February we’ll be posting an article with reading recommendations to give you a jump start on your journey. Do you already have a book in mind that speaks to your soul? Feel free to share the title in the comments section! Each year, the clergy of the diocese gather in late February for a pre-Lenten retreat. It’s a time of reflection and fellowship and learning. Several years ago, our retreat focused on the mission of the Church. We had presentations from a consultant who works with non-profit agencies using business models and asked us to consider our work in those terms as well. We know the church isn’t a business in the traditional sense, but there is no reason that we can’t use tools from that world to be more effective in our work for the Kingdom. I was particularly struck by her insistence that successful organizations have clarity of purpose and understanding of what their “product” is. In church terms, the question relates to what the purpose or goal of our evangelism is. What are we inviting people to? Are we trying to sell them on our way of worship? Are we trying to get them to join our church the same way other folks might try to get them to join the Bradford Club or Kiwanis? I’m afraid sometimes churches have engaged in evangelism with those very things in mind. As much as I balk at the idea of “selling” in connection with faith, I realize that if we must use those terms then I wanted to be sure that we are offering something of eternal value. The purpose of our evangelism, of our inviting others to join us in our faith journey, must be no less than to invite them to have their lives transformed by a relationship with Jesus Christ. As Episcopalians, we believe that the best place to encounter Christ is in community through worship and the sacraments. Our evangelism focuses on calling others into relationship with our church family so that they may share with us in being transformed through a relationship with Jesus. We are not perfect people – we can’t claim perfection in worship or fellowship or discipleship. If all we have to offer is ourselves then we really won’t be terribly successful. But if we remember that we are offering so much more – a priceless treasure, the very Living Water that Christ pours out on us and through us – then we indeed have a “product” that everyone we encounter longs for. As we move through this Lent toward Easter joy, may we be ever aware of the precious gift we have to share and re-commit ourselves to boldly offering it to others – not for our own, but for Christ’s sake. The Rev. Stacey Fussell is Rector of Episcopal Church of the Ascension in Bradford. 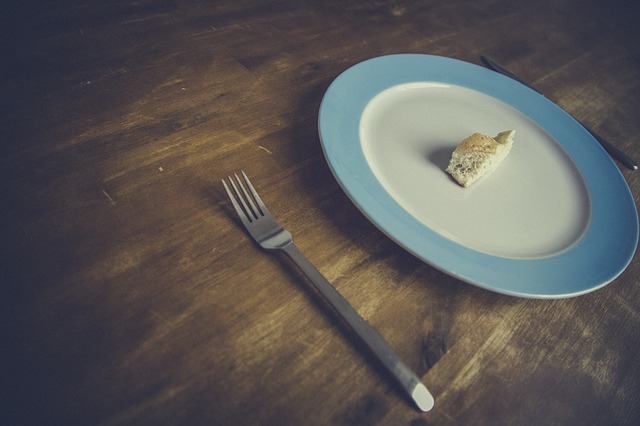 In Part 1 of this series, I looked at why fasting is important. In this post, I want to focus on the practical aspects of fasting. The Bible commends fasting, but does not present a clear set of instructions on the best ways to incorporate fasting into a regular spiritual discipline. On top of that, certain churches may commend or require a particular fasting discipline for certain days or seasons without providing more general instructions. Fasting is voluntarily giving up some kinds of food and/or drink for a certain period of time for a particular purpose. Depending on the fast, someone might give up everything but water, or someone might give up all solid food but drink whatever they want, or someone might give up anything with calories in it, but still drink coffee, tea and water. Partial fasts are also possible. Instead of not eating at all, people may eat much smaller meals for a particular period of time. A partial fast may also involve not eating certain foods, like in the first chapter of Daniel, when Daniel and his companions refused the king’s rations and ate only vegetables and water. Some Christian traditions refer to times of not eating meat as days of abstinence. The duration of a fast can also vary. An initial fast might be giving up a meal for a particular intention. A day-long fast is a common duration, and can last from midnight to midnight. John Wesley, and others, recommended fasts beginning at sundown, which was the beginning of the Hebrew day, and going until the next day at 3:00pm. Generally fasting from after dinner one day until dinner the next day makes for an effective 24-hour fast that is a bit less taxing than going all day without food and then going to bed hungry. Once people are accustomed to a day-long fast, the Holy Spirit could lead them to a longer fast. Of course, any kind of fast should only be undertaken if a person’s health can handle it. Diabetics, people taking medications that must accompany food, or people with certain medical issues should probably not do a total fast. Everyone can, however, do some kind of partial fast. For people without a discipline of fasting, the important first step is to start with a small or partial fast and let the Holy Spirit lead them more deeply as time goes on. One particular instruction that Jesus does give is to wash our faces and not be dismal while fasting. These directives are important guards against hypocrisy and pride. At the same time, Jesus knows that a particular danger of going without food is that people tend to get grumpy. The point of fasting, however, is not to make everyone around us miserable, or to let them know just how much we are sacrificing. A good rule of thumb is that we are not undertaking any spiritual discipline properly if others want to avoid us while we are doing it. Instead, we should do our best to look good and act with extra love, care and generosity while fasting. Then our heavenly Father, who see in secret, will reward us, and our intentions can move forward. I hope that you will take an opportunity during Lent this year to explore the spiritual discipline of fasting more deeply, and that you will find ways to continue it throughout the year. 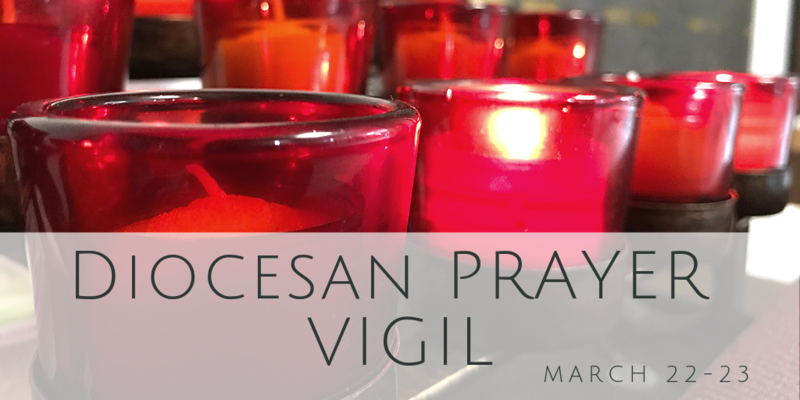 In addition to your other intentions, please include our diocese and congregations in your intentions as you fast. In the Sermon on the Mount, Jesus assumes that regular fasting will be a part of his disciples’ rhythm of spiritual life. Certainly, he commends fasting with the right intentions and in the right ways, but he also assures us that fasting is rewarded by our heavenly Father. In this post, I want to talk about how fasting is particularly important to us as a spiritual discipline. Then the next post will look at some practical aspects of fasting. First, fasting acts as a particularly powerful form of prayer. When we fast, we pray with our whole bodies. We know how to pray with our minds and with our voices, but we are incarnate people and fasting allows our entire bodies to pray. When we fast, we tell God that as long as we are not eating (or as long as we are not eating certain foods) we are going to be in prayer. Our rumbling tummy and sagging energy are reminders to us that we are using our entire beings for prayer. When our focus may be on work, or errands, or even cooking dinner for our family, our bodies are continuing to pray. We are praying constantly while we fast, because as long as we are not eating, we have signaled to God that we are praying – and God honors that intention. No matter what kind of prayer we are engaging, when we fast, we supercharge those prayers. We remember the woman who ceaselessly nags the unjust judge in Jesus’ parable in Luke 18. Finally, the judge wears down and grants her petition. When we fast, we become like that woman, offering a constant cry before the throne of heaven for our prayer intentions. The other important benefit of fasting is that it helps us reign in our appetites. As 21st-century Americans, we live in a consumerist utopia of immediate gratification. 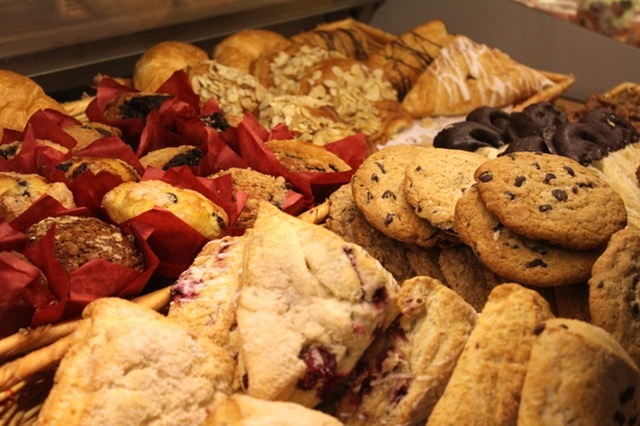 We can eat dessert at every meal, in addition to between meals. We can eat more meat than almost anyone in history. We can have people prepare foods from the other side of the world for us for a couple of bucks, and get irritated if they take too long. In this kind of world, we need opportunities to tell ourselves “no”. We need to be able to train our appetites to take direction in ways that are good for us. If we can deny ourselves food for a day, maybe we can also deepen our self-control in other aspects of our life. Maybe we can control our tongues when a piece of juicy gossip or a harsh word is on its tip. Maybe we can turn off the TV or the Facebook feed when we should really be saying our prayers before bed. Maybe we can find the energy to go help someone with something when we might rather stay home and do nothing. Maybe we can curb our own ego a bit to be more loving and generous with those around us. Fasting offers us the opportunity to train ourselves to do the right thing. If we can walk by the Snickers bar when we haven’t eaten lunch, we are in a much better position to resist more harmful temptations in other aspects of our lives. Both of these benefits are especially helpful in relation to repentance. Fasting often accompanies repentance because when we are repenting we need serious prayer and the ability to increase our self-discipline. God doesn’t need us to fast in order to forgive us, but we may need to fast in order to do the work to turn our lives around. Our prayers of repentance will be strengthened by fasting as we pray for healing and wholeness for those we have harmed and to implore God to lead us not into temptation so that we do not fall again. At the same time, saying “no” to ourselves in fasting should strengthen us in saying “no” to future sin. Additionally, just the discomfort of fasting can provide an additional barrier to relapsing. If the last time we robbed a bank, we felt a need to fast for two days, the next time bank robbery presents itself, even if we don’t decline based on a renewed moral compass, we might pass so we don’t have to give up food for two more days. Fasting will almost always accompany serious repentance, but repentance is not the only reason to fast. Any prayer will be boosted by fasting. Significant prayer efforts, like those for an increase in evangelism, church planting, and church revitalization, will almost certainly require a fasting component. I hope you will consider exploring fasting more deeply during this Lenten season. View part II of this series here.